This is @dance39 new account, to prove it is me I quit my old account I sent all my followers a message saying I switched accounts. https://scratch.mit.edu/projects/277390608/ link to my about scratch 3.0 project! 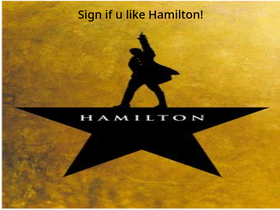 Remix and sign if u like Hamilton! I couldn't do it...I'm coming back now! Let Me make your OC.